The word Faveo comes from Latin which means to be favourable. Which truly highlights vision, scope as well as the functionality of the product that Faveo is. It’s specifically designed to cater the needs of Envato authors, empowering them with state of art, ticket based support system. 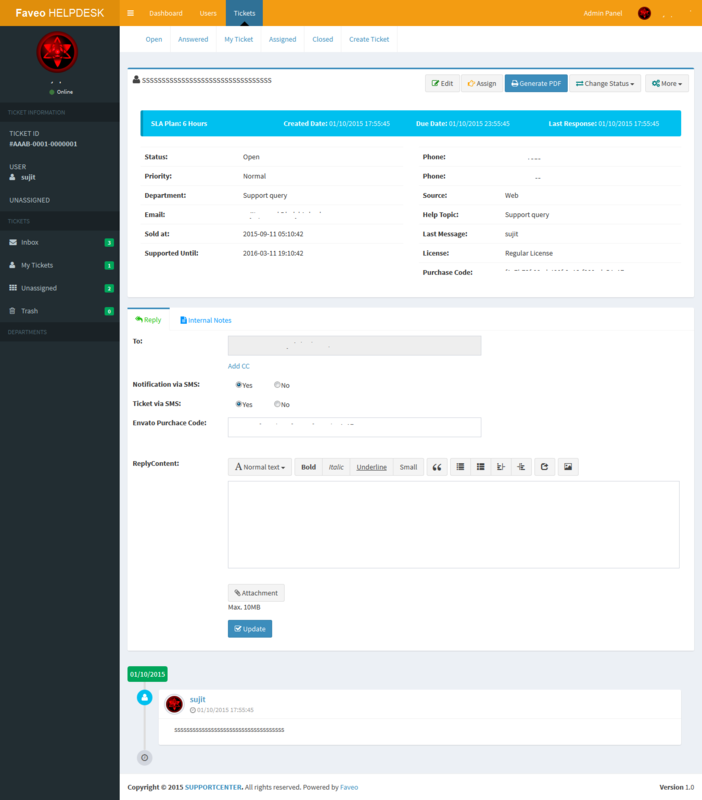 Plugin Management Module Faveo allows you to upload plugins. Knowledge BaseThis version has in built knowledge base. Form Builder Faveo giving option to create custom forms. + Changed plugin settings to activate and deactivate plugin by removing the update process for the config/app.php file. + Changed plugin ServiceProvider registration technique by removing the hard-coded code AppServiceProvider.php file. Now We are registering all plugins' ServiceProvider classes available for active plugins with status as 1 in plugins table in the database. It provides more dynamicity to developers so they need not worry about registering their custom plugin's ServiceProvider. 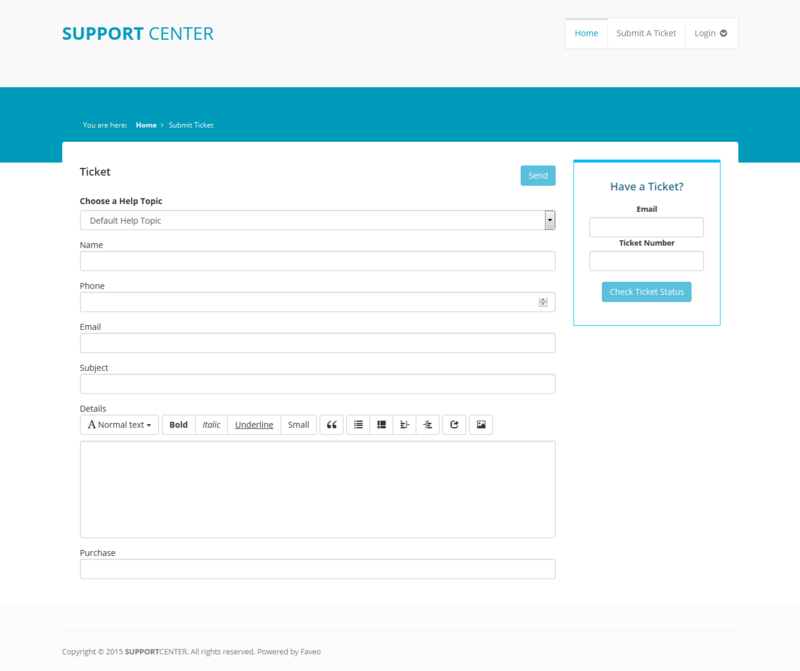 + Added new event "after.ticket.created" which gets fired after tickets get created and contain ticket data. It can be useful for developers for creating new plugins which need to perform a certain action after the ticket is created. + Updated helpers.php added new method carbon() to parse string date into carbon date object. Envato, are trademarks of Envato Pty Ltd., registered in the India, U.S. and other countries. This Application is third party application made by Ladybird Web Solution Pvt Ltd and is not owned or made by Envato. This Application will not work well without proper API from Envato.